Lawrence Kramer (b. 1946) grew up in Philadelphia and New York and was educated at the University of Pennsylvania and at Yale. 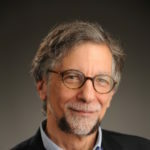 A prizewinning composer whose works have been performed throughout the United States and Europe, he holds the position of Distinguished Professor of English and Music at Fordham University. He is the author of fifteen books and the longtime editor of the journal Nineteenth-Century Music. His scholarly work has been translated into ten languages and has been the subject of session meetings at scholarly societies and symposiums in the United States, Europe, Brazil, and China. Kramer’s books on music and culture include, most recently, Song Acts: Writings on Words and Music (Brill, 2017); a trilogy on musical understanding comprised of The Thought of Music (University of California Press, 2016), winner of the 2017 ASCAP Virgil Thomson Award for Outstanding Music Criticism, Expression and Truth: On the Music of Knowledge (California, 2012), and Interpreting Music (California, 2010); and Why Classical Music Still Matters (California, 2007). Musical Meaning and Human Values (Fordham University Press, 2009), co-edited with Keith Chapin, is a collection based on an international conference held in Kramer’s honor in 2007. The 2007 conference featured the premiere of seven songs for voice and cello to texts adapted from Nietzsche’s The Gay Science, since then incorporated in an eleven-song cycle, “Bearing the Light,” performed in New York City in 2014. The premiere marked a return to composition after fifteen years of intensive work in musicology. Performances have steadily followed across the United States and Europe, with premieres in New York, London, Edinburgh, Oxford, Vienna, Ghent, and Stockholm. Kramer’s quartet movement “Clouds, Wind, Stars” won the Composers Concordance “Generations” Prize in 2013. His music has also won competitions by the Hartford Opera Theater and Ensemble for These Times. “Star and Shadow” for trumpet and piano (another competition winner) appeared on CD/mp3 in 2014. Other recent performances include Pulsation for Piano Quartet (Ghent, Belgium, 2013); Songs and Silences to Poems by Wallace Stevens (London, 2013; Belgrade, 2014); four string quartets: nos. 2 and 6 (New York City, 2013), 5 (New York City, 2015), and 7 (New York City, 2016; Bern Switzerland, 2017); “Bearing the Light” for voice and cello (Durham, N. C., 2014); “A Short History (of the 20th Century)” for voice and percussion (Krakow, Poland, 2012; New York City 2014); “Sand Dunes” for unaccompanied flute (Salvador, Brazil, 2014); “Aftermath: Four Songs of the Civil War” for tenor and piano (New York City, 2015); “Nimbus” (two songs from Walt Whitman’s Drum-Taps for tenor and piano; Cambridge, Mass., 2015); Six Nietzsche Fragments for baritone, violin, and piano (New York City, 2015); Erat Hora (six songs to texts by Ezra Pound for soprano, baritone, and piano; New York City, 2016); “The Stillness in the Air”: Six Poems of Emily Dickinson for mezzo soprano and piano, New York City, 2017; Sonata for Violin and Piano, New York City, 2017; and “Wingspan” for String Sextet, New York City, 2017.